eBay - opening up the lines of communication with buyers and sellers. Today's keynote presentation started with a Katrina hurricane media piece focusing on eBay in the community and eBay itself pulling together in a effort to help victims of the Katrina disaster. Jonathan Garris, Director of eCommerce Merchants ECMTA & CEO of Gotham City Online, introduced the keynote speaker Lorrie Norrington after the following brief comments. After Lorrie introduced herself, she impressed the audience with a fifty thousand dollar donation from eBay to Habitat for Humanity. The focus on this PeSA ECMTA Summit is giving back to the community. In fact, the last day of this summit in New Orleans is dedicated to volunteer work for Habitat for Humanity. eBay opened their pocket book to help provide needed funding to the Habitat for Humanity charity. However, if you cannot, or will not change business practices to provide a great customer experience, then eBay is not for you. Q1 results….all sellers have improved their DSR scores over the last 10 weeks, and as expected, 60% of PowerSellers – in fact 63% - did qualify for at least a 5% discount on both their March and April invoices. The original intent of Feedback was to enable trust and honesty between a buyer and a seller so that they could conduct business over the Internet. But over the last 3 or 4 years, buyers in particular became fearful of retaliation and in many cases no longer left honest feedback for sellers. The hot topic of communication between sellers and eBay is Feedback and DSR’s. First a comment: I think we all should be honest when we discuss the feedback system. If we are honest, most will admit that the system has been broken for a long time. In a system where sellers must hold feedback over honest and so called “bad” buyers alike, the only true result is antagonizing all sellers in an effort to keep a feedback level high. eBay has made the changes to the existing feedback system and the hard decisions in an effort to create a more positive experience for the buyer. Until today, that is the only part of the story that we as sellers have heard. Sellers can block buyers who have had more than one unpaid Item strike in the past 12 months – previously it was restricted to more than one UPI strike in the last 30 days. Beginning in May, sellers will be able to block buyers who have been reported by other sellers for policy violations like Feedback extortion or Feedback abuse. eBay will also remove negative or neutral feedback left by buyers who have been suspended from the eBay marketplace for Feedback Extortion or other policy violations. "Finally, if I can leave you with just one message from today, it is that you’re not just an eBay seller … you are an eBay customer. This is a change in perspective at eBay and one that I think that will benefit both buyers and sellers. 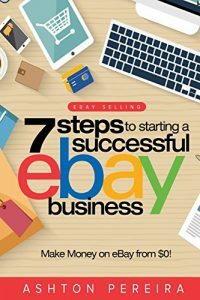 It means that we will spend most of our time, money and effort into winning your business and making sure that good sellers – whether large or small - have a great experience on eBay." The next session after the Q&A following the keynote was a panel session with eBay open to all questions. I must say there were more eBay people at this event than anyone could have hoped for or expected. I can also say that not only was eBay listening, they were taking notes. 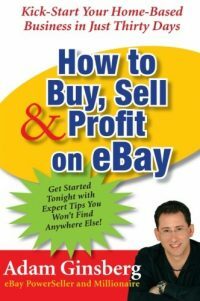 On several occasions during the day I presented problems which have recently occurred in my eBay business to various members of the eBay & PayPal staff in attendance. I was personally gratified to find each and every member of the eBay staff, including Lorrie Norrington herself, listened to my public session questions and my private one on one questions. At lunch, I was pleased to find myself sitting directly next to Lorrie and as we discussed subjects such as Best Match Search, Feedback and Digital Delivery. Lorrie pulled out a note pad and began to jot down the ideas presented at the table during this impromptu exchange. I found her to be a genuinely warm, interested and engaged corporate executive. Of greater importance, however, is that every eBay staffer I presented an eBay account or Paypal problem to during the morning or afternoon actually got back with me by the end of the day. Each staffer individually tracked me down with an answer to my various business related problems and questions. eBay may be really listening and it feels good to think in those terms. Best Match is evolving as we speak - changes are coming, but the system is here to stay. Free listing fees (mentioned at Catalyst U.K.) - per Lorrie Norrington, not a serious consideration or a test, "Just something we looked at." (If you recall, I wrote an extensive article in this blog last December offering the idea of free listing fees - eBay lowering fees - We say - eBay Listing Fees FREE). As the non-performing sellers are weeded out of the system, DSRs will equalize and there will not be a noticeable disadvantage related to DSRs for the remaining "performing" sellers. New sellers are not graded at all in Best Match - DSR Data must be present first. eBay is not moving away from the auction platform. The side by side (auction next to fixed price) was a test evaluated in the past. Even though this was presented to investors as something eBay is looking at, do not expect this format any time soon, if at all. Digital Delivery Classified listings will appear in Core Search. Feedback will be given to all sellers retroactively from multiple repeat customer purchases - back to 1996 (over 7 Billion feedback in the database). Paypal is working hard to notify sellers immediately of a suspected fraudulent payment. An email will be sent to the seller advising the shipment be held while PayPal investigates. The unequal DSR language (Buyers told 3 is acceptable - sellers graded as unacceptable if a 3 is received) may be removed completely before it is changed. (I pointed out that the language as it stands does not help Trust and Safety. 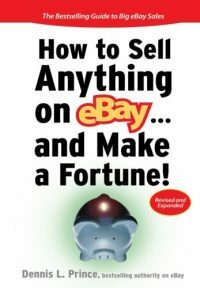 eBay tells buyers one thing and sellers are forced to tell buyers something else, it only causes doubt in the buyers' minds about eBay and the seller.) Lorrie also noted that impression. I also added at lunch - and Lorrie seemed to be really listening -that sellers view "Trust & Safety" more as an enemy than a help. She seemed quizzical when I said this. I explained "Trust & Safety" is the department which removes any listing with any type of complaint from any anonymous outside source and they do this without any communication with the seller. When these types of listing removals occur, several impressions are made. The seller gets the impression "Trust & Safety" can be manipulated easily by competitors of the seller and is incensed when the "Trust & Safety" team removes a listing before consulting with the seller about the violation, real or imagined. The buyer will get the impression that the seller was never trustworthy at all. The buyer sees a screen indicating the item they had bid on had been removed by eBay. This buyer is much less likely to purchase anything from the seller in question and may be less likely to buy on eBay at all. This practice of removing listings without proper consideration actually reduces the feeling of trust for the entire site from a buyer's perspective. The competitors' impression is that the system can be gamed to remove honest competition simply by reporting a "Trust & Safety" issue about the listings of another seller in their category. This happens every day and has begun to occur more often with unsubstantiated VERO claims. Lets all hope that Lorrie was really listening. My impression is that she and all of eBay are making a real effort to do just that. Fabulous news! Thanks so much for posting the information from the conference. Scott, Great job, excellent coverage. Nice to hear ebay is listening to those that are in tune with the real concerns of the user community. Thanks Michael – Glad you enjoyed the article. How is business?